Village Builders seeks clients who want to lead the way to exciting custom homes. Using the best possible materials and best practices, we are able to assure you will have a house you not only want to live in but a home that you are proud to show to others. Bring us your plans, or, if you are just starting to think about your build, we have collaborated with a number of talented local architects and designers and we can recommend a fit for your project. Since we began building in 1980, Village Builders has undergone numerous changes in the way that we construct homes. Some of the changes were brought on by homeowners asking for new and innovative elements in their homes. But many were driven by our staff and craftspeople looking for new and exciting technology, techniques and materials to help the Village Builders home stand out above all others. We have worked hard to achieve the deep level of organization that a new home construction demands. Read about the general process your custom home project will follow. Click through our portfolio to review custom homes that we are proud to have built. 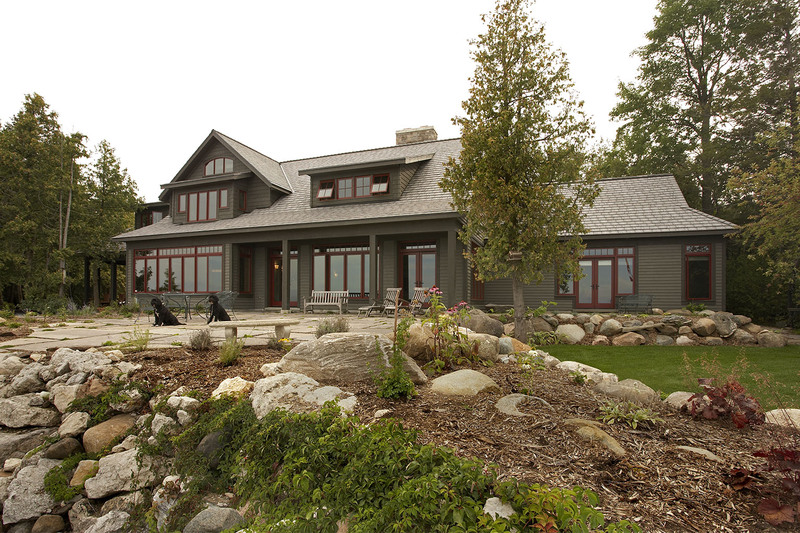 We combine high levels of service with the finest quality materials when constructing a custom home.